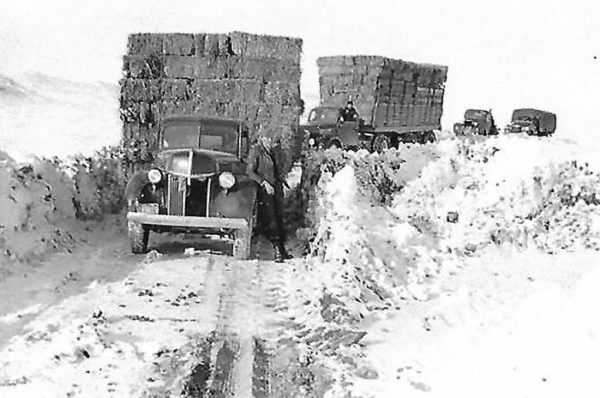 In the winter of 1948-1949, a group of selfless Utahns, including members of the Barton, Hansen and Mellor families of Sanpete County, braved subzero temperatures to deliver hay to starving sheep and cattle herds stranded and freezing in remote grazing areas. 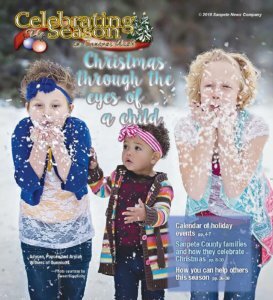 Winter this year has been mild in Sanpete County. Yet some people still recall a winter so bad people put their lives on the line to bring relief to freezing and starving families and livestock. This was one of the worst winters the state has seen since the late 1800s. McKay Mellor of Mt. Pleasant was just a boy who turned age 12 during the winter of 1948-1949. He said that winter was long, harsh and full of strong winds that drifted snow across everything from roads to houses. According to Mellor, news reports at the time claimed temperatures in the area of 40 degrees below zero. The extreme winter had left herds of sheep and cattle stranded and starving across the Central Utah landscape. Hay was badly needed to maintain the livelihood of the livestock for so many residents, including the Barton family in Manti. Mellor said the U.S. Air Force loaded cargo planes up with hay and tried to drop the hay as close to the herds while flying as low as it could. It helped, he said, but several unfortunate incidents occurred, including a crushed garage and a man killed by a falling bale of hay. On the ground, residents of Sanpete County and its surrounding communities were determined to help in whatever way they could as well, said Mellor. In subzero temperatures and with snow piled head high, his father, Edwin Mellor, delivered several loads of hay from Fillmore to various starving herds, including a herd belonging to the Bartons of Manti. McKay was too young to accompany him at the time, but his father, who turned age 40 that winter, had the help of Lee Barton, 24, and McKay’s cousin, Carroll Mellor, 22, on at least some of the selfless and dangerous delivery trips. McKay said he spoke with Barton before he died in 2015 about the dangerous journeys. Barton said the trips could take as much as a week sometimes, beginning immediately after heavy equipment had plowed routes for their trucks to attempt the long, snowy drives. McKay said at one point his father and Carroll had run out of fuel. It was very cold and dark. During Edwin Mellor’s funeral in 1988, Carroll recounted an anecdote of that cold winter night as they froze slowly in the dark, wondering if they would live. With three feet of snow out on the flat, “we hurried and left early in the morning,” Carroll said. By the time they were halfway to where the sheep were, the wind had blown the snow in and they were stuck. It was 40 degrees below zero. And so they prayed to God that they might not freeze to death out there in the middle of the desert. It wasn’t a half an hour until the small, shivering group of hay-haulers saw a light shining down across the desert. It was a man in a large four-wheel drive tractor, and he had fifteen gallons of gas for them. With plenty of pluck and divine assistance all along the way, the group of selfless truckers saved the herds and livelihoods of more than one family that winter.